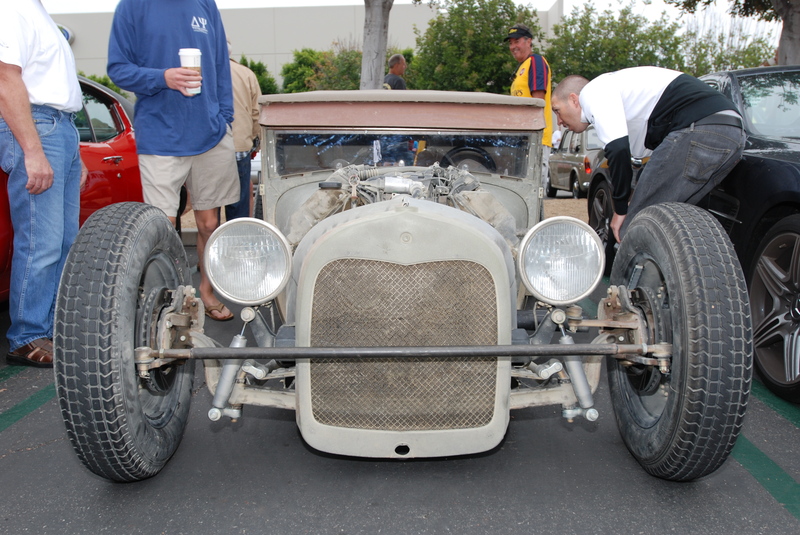 As this low slung hot rod made its way into the parking lot, ushered in by the rumble of its motor, it was greeted by a gathering crowd waiting for it to stop and park, in order to get a better look at this mysterious vehicle. As I approached, there was something familiar about this hot rod. And then it hit me… I had seen this very same vehicle featured in a video several weeks prior, along with an accompanying article written by its owner / builder; collectively they showcase the performance capabilities and describe the inspiration and influences behind this build, posted together on the website StanceWorks. 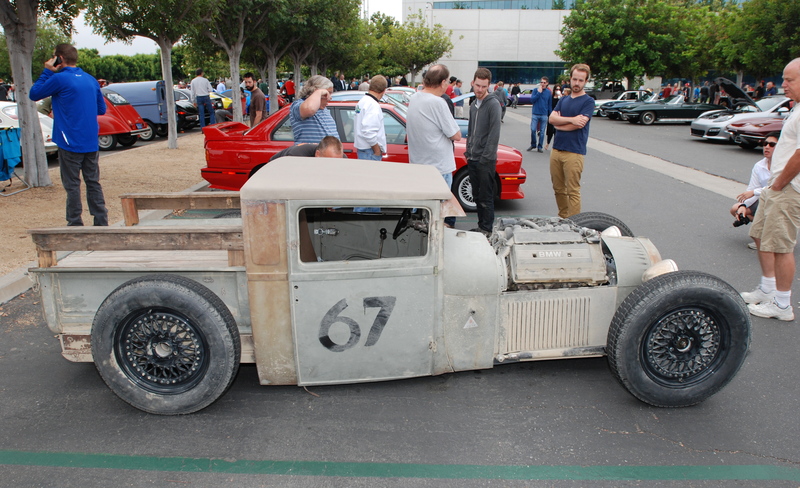 The foundation of this creation is based upon a 1928 Ford Model A pickup, but when it came to choosing a motor, the owner/ builder ignored the traditional selection process and instead took a european detour, incorporating a brand he was very familiar and successful working with; BMW, and picked one of their M60, 4.0 liter OHC V8’s, harvested from a 1995 BMW 740 donor car. 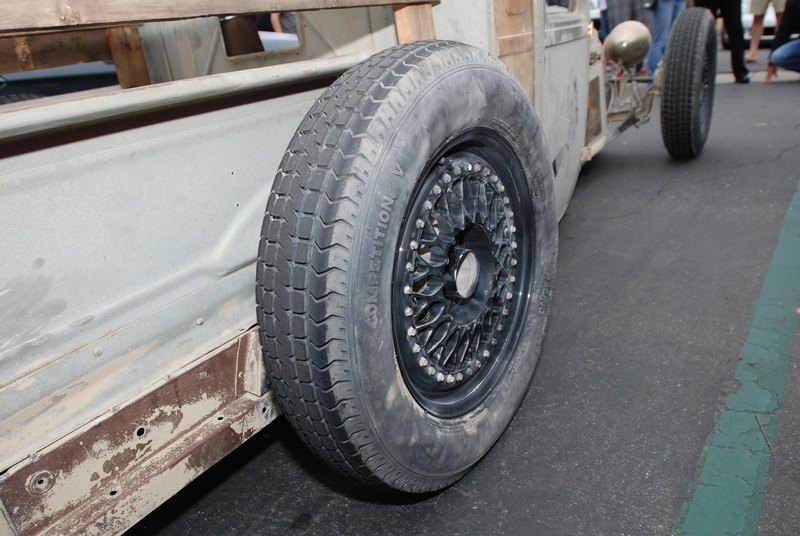 In addition to the motor, the next most visible, German automotive inspired detail were the unorthodox, highly modified 4″ X 17″ BBS / RS wheels as seen below, wrapped in a set of skinny, Excelsior Competition V tires. 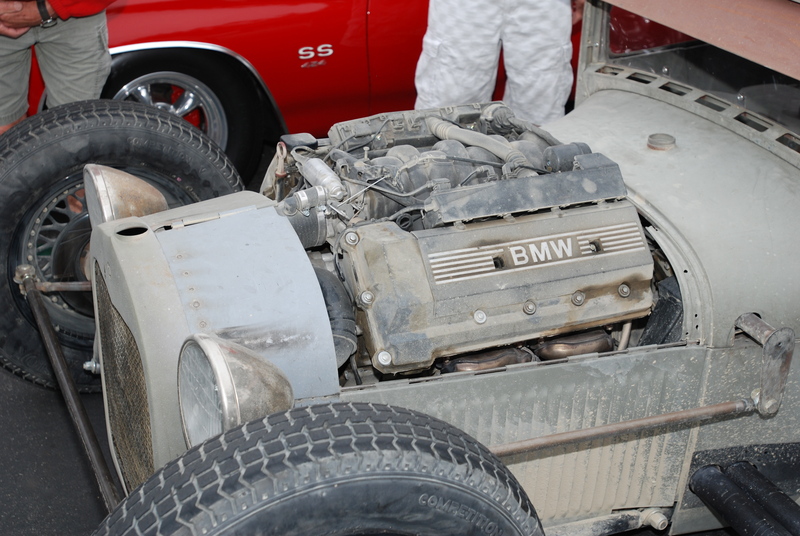 And enveloping the entire car was a dusting of dried lake bed silt, still clinging to the pickup after its recent foray to El Mirage for its video shoot. So rather than my attempting to summarize the owner / builders narrative, or sharing more photos from my own encounter, I would suggest checking out the video and build description as penned by the owner, in addition to the beautiful photography included with the narrative, via this link. 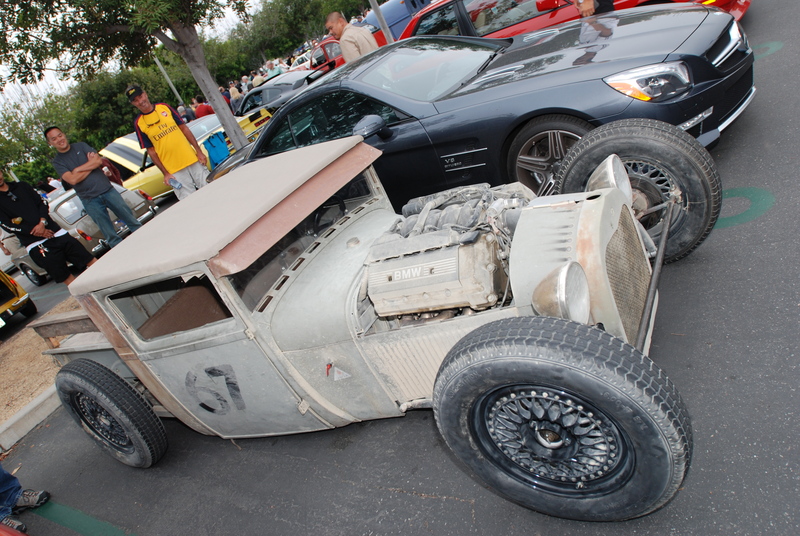 This entry was posted in BMW, car shows / special events, Hot Rods & custom cars and tagged Automobiles, Cars, Ford Model A pickup, hot rods, photography by digitaldtour. Bookmark the permalink. Thank you again for your feedback, I’m glad that you liked my most recent posting. I agree. 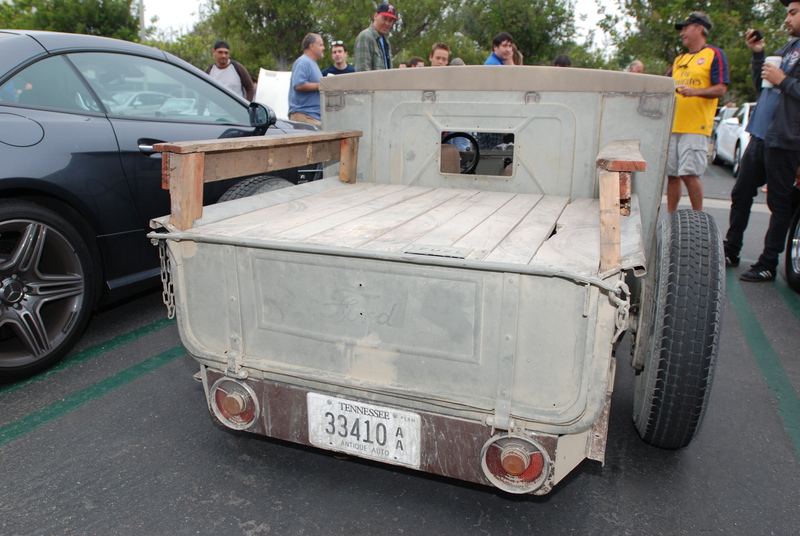 This particular truck has put a whole new spin on hot rod construction and resource options.